Did you hear what happened in the Georgia Senate today? One of the first things the new State Senate does is vote on the rules of procedure we must follow. Sometimes there are changes or additions. But whatever we change becomes a critical part of how we do the business of the people. This year, Republican leadership suggested amendments to our rules and procedures, but didn’t give the minority party enough time to actually read them. As our friends and family watched from the floor and the galleries, a historic day turned contentious. The Republican majority leader wanted these rules changes to be “engrossed” – that is, to be voted on without the opportunity for modification during debate. The President Pro-Tem of the Senate issued a 5-minute recess during which time State Senators on both sides of the aisle had to scramble to read over a dozen pages of legal text as fast as possible and find any possible problems. 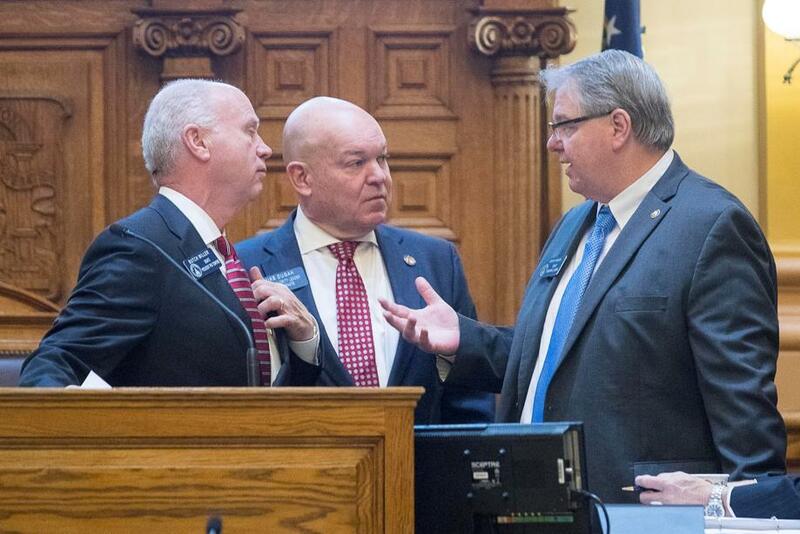 One Republican State Senator called the lack of information “unprecedented.” Legislators requested at least the night to review them and vote on them the next day. But the vote was held. The new rules were adopted 33 to 22 – along party lines. What was in those changes? Why was this standard procedure no longer so “standard?” Some of the new rules provided more leeway for leadership to call the Capitol police if they felt someone peaceably objecting was too much of a distraction. Another rule forces sexual harassment and other ethics complaints against Senators to be filed within two years (there had previously been no statute of limitations on such complaints). Another changed the way committee assignments are made, and another changed “crossover day”. Some changes were small, some were big. None of them were seen by the Democratic senators before this morning. This is just day one. We must be vigilant. We must stand together. We must show our leaders that we are not going to stand silent while they abuse their power.